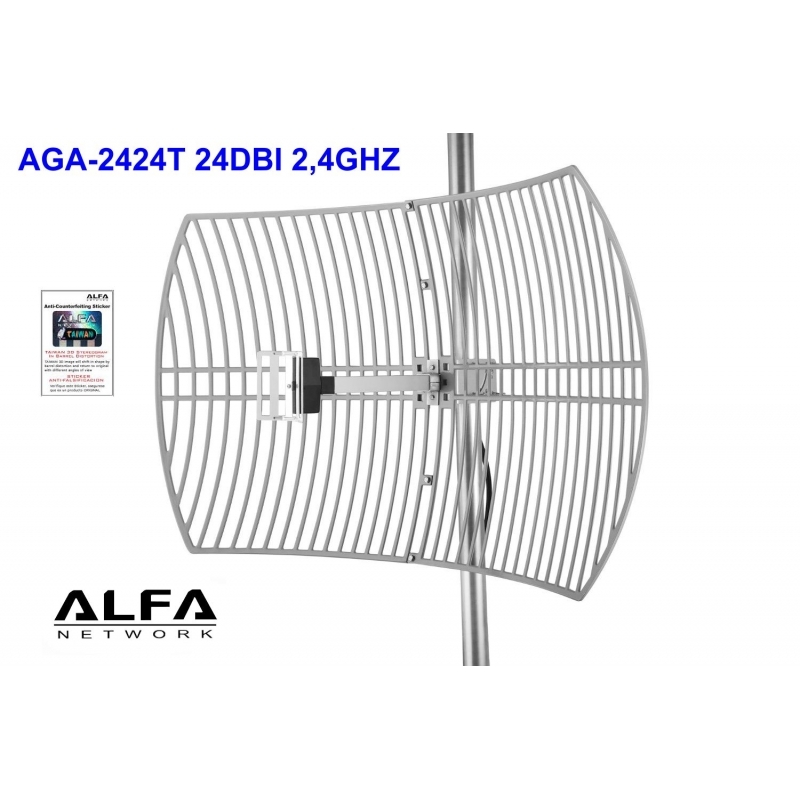 24dBi Alfa Grid antenna with Longest Range available.Alfa AGA-2424T is an affordable 2.4 GHz grid antenna priced much lower than comparable products from competing brands. With 24 dBi gain, this antenna is a high gain antenna perfect for use on RVs, boats, or to cover long distances over land. 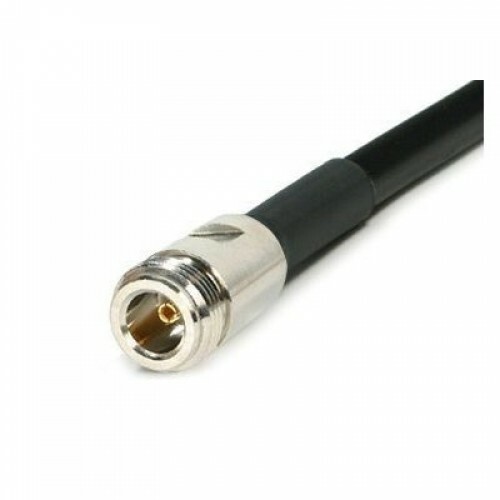 Because of its higher gain, AGA-2424T can be used with longer extension cables compared to lower gain antennas.With an N-female connector, it is easy to connect this antenna to any of Alfa's long range Wi-Fi adapters, including AWUS036H. Contact our sales team for information about extension cables and pigtails, as Alfa's Wi-Fi adapters have RP-SMA connectors, so you will need an extension cable with the right type of connectors if you do not already own one. 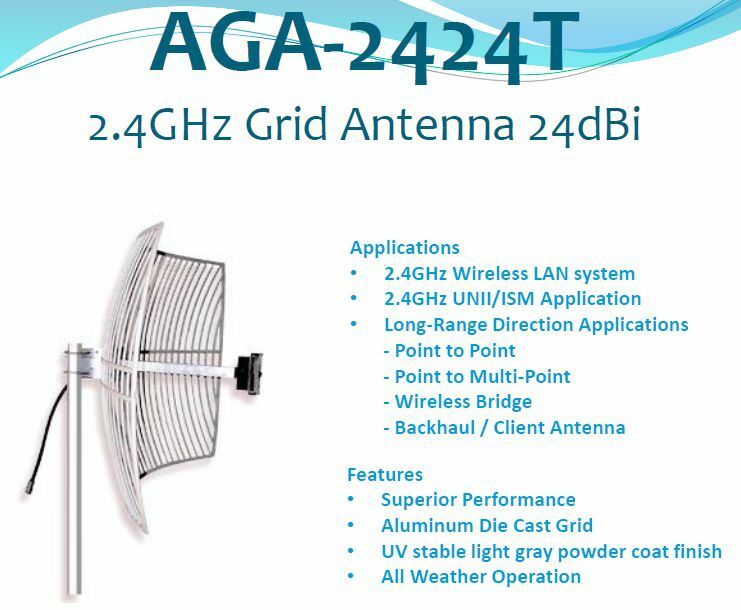 Alfa AGA-2424T is an affordable 2.4 GHz grid antenna priced much lower than comparable products from competing brands. 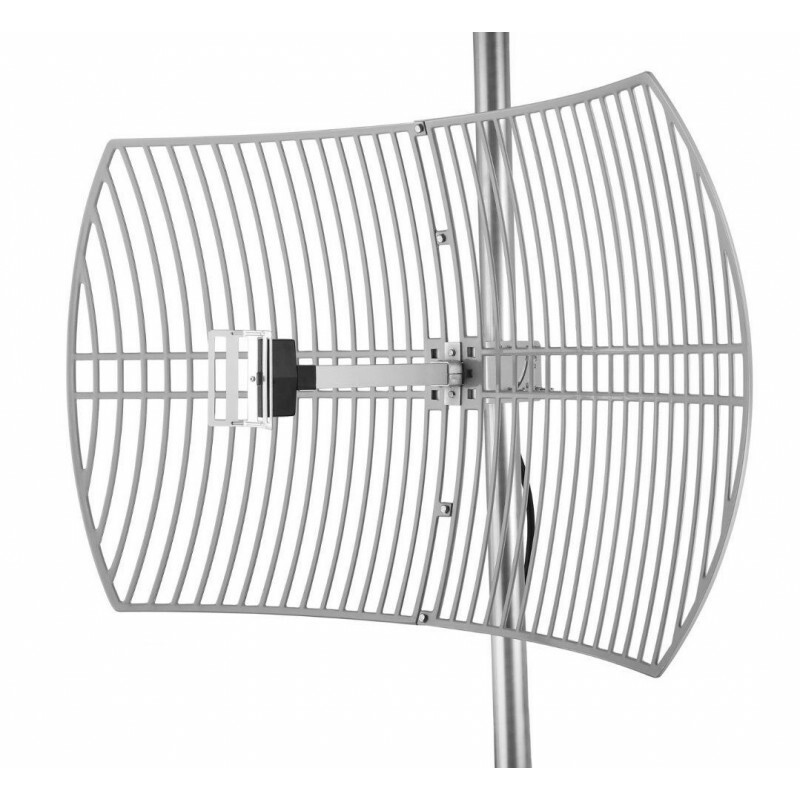 With 24 dBi gain, this antenna is a high gain antenna perfect for use on RVs, boats, or to cover long distances over land. 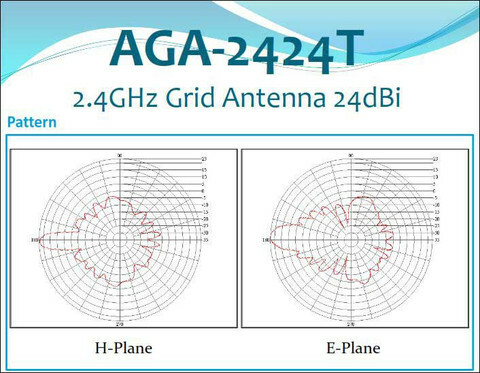 Because of its higher gain, AGA-2424T can be used with longer extension cables compared to lower gain antennas. 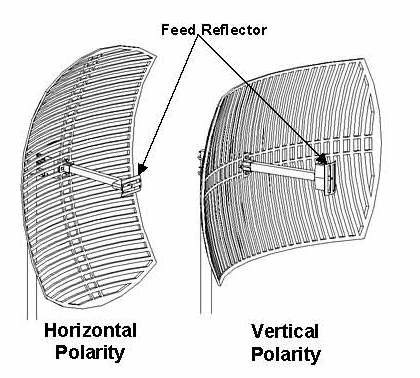 An outdoor antenna is a great option for RVers and boaters because it allows you to receive outside of your RV or cabin walls. 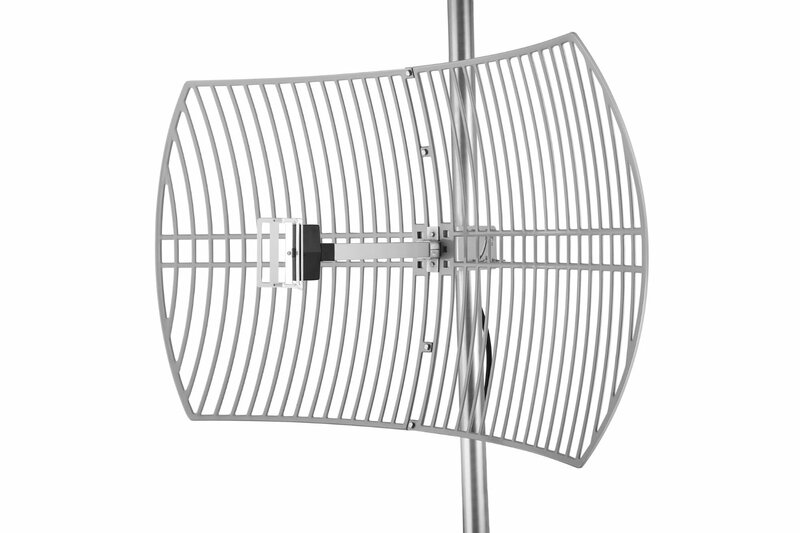 The height of this antenna also allows for high placement, which allows for you to maximize overall range. Alfa Network AGA-2424T, from the industry leader in long range Wi-Fi networking equipment. 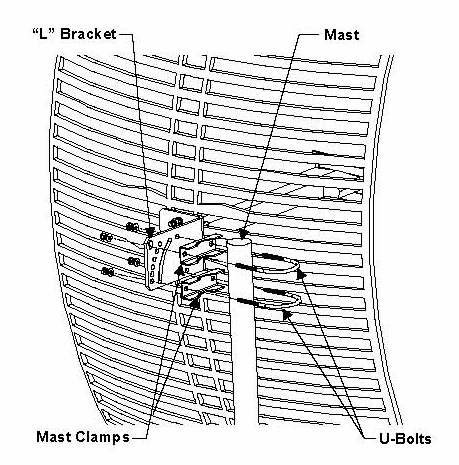 Can be used verticially or horizonally, mounting kits included. 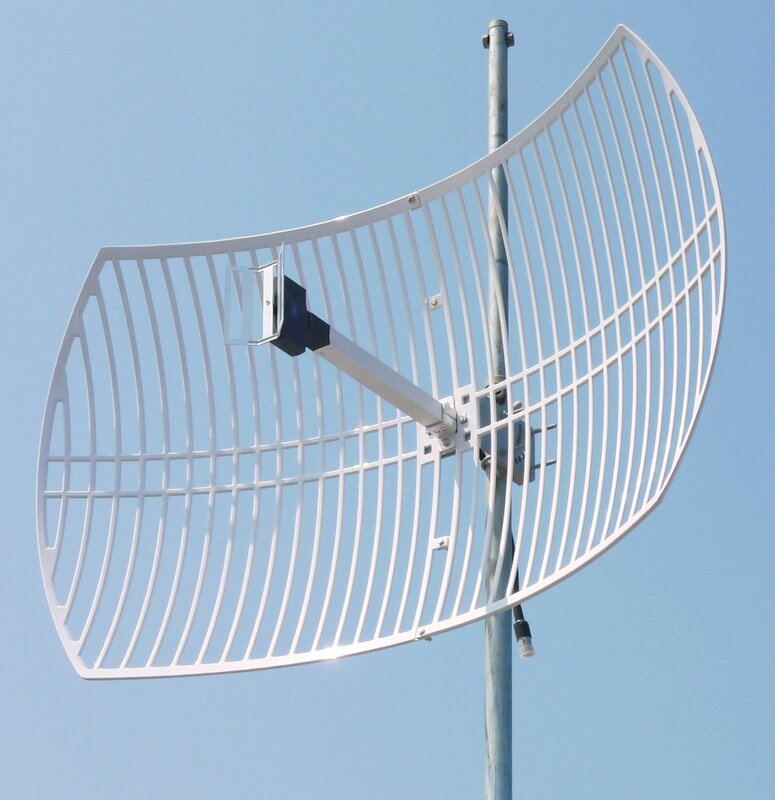 24dBi Long Range Alfa Directional Grid Antenna. 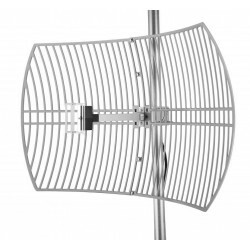 This 24dBi Alfa Grid Antenna is specifically made to be used with any network card or router (you will need N type Male cable to connect to this antenna). Dimensions 42 x 24 inches for optimum performance. You will get one 24dBi Alfa Grid antenna with N Type Female connector. 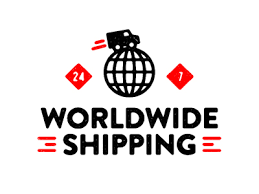 Free Shipping !! 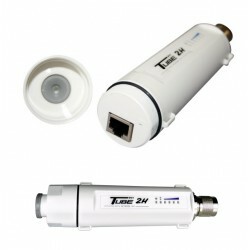 The Tube2H Alfa NEtwork is a Bridge (bridge), outdoor (AP/CPE) which carries the connection for the WiFi antenna N-type male. 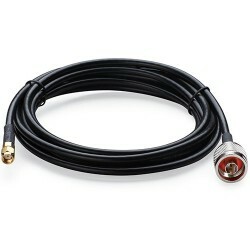 You can connect with all type of outdoor antenna with N connector female. Notable for having a built-in LAN port / WAN RJ45 that allows you to power PoE.